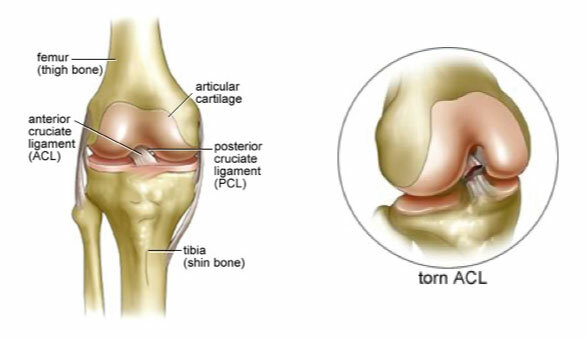 Within the centre of a normal knee, there is an important ligament. This is called the anterior cruciate ligament. 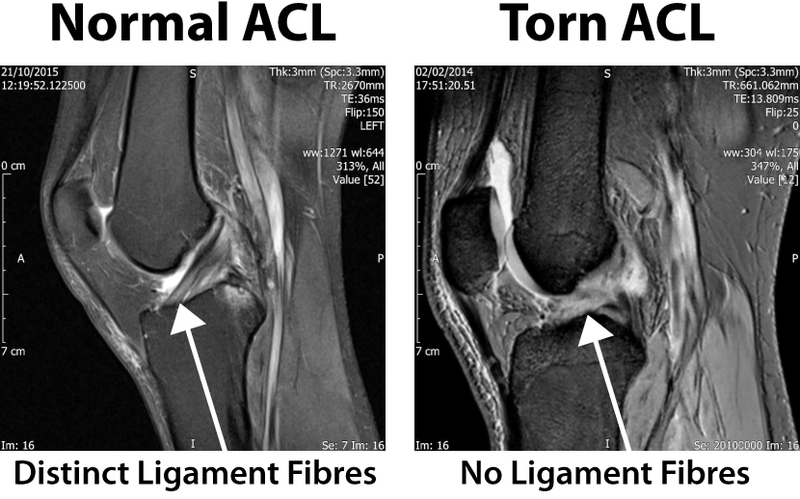 Following a significant knee injury, this ligament can rupture. Immediately, the knee will swell dramatically. The swelling settles over a few weeks, but the absence of this ligament leads to instability / giving way of the knee during twisting movements. 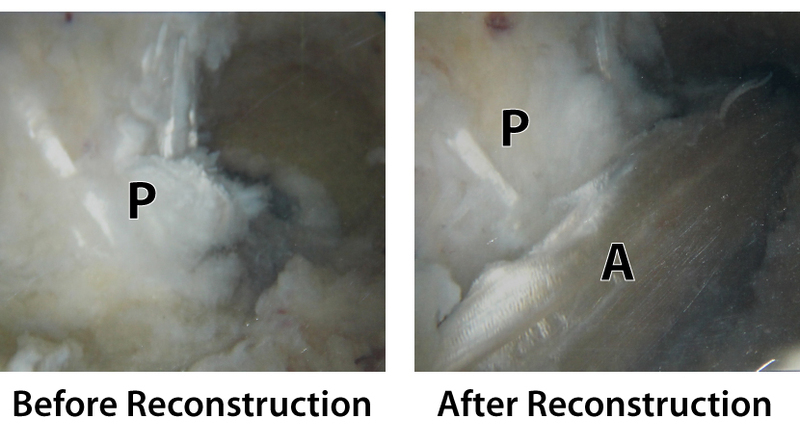 These images give a schematic view of the anterior cruciate ligament. This ligament can be replaced by keyhole surgery. Stability of the knee returns and patients can return to sporting activities.